This is one of my favorite activities to get a young family to play during their portrait session. It's called airplane. Each parent lift a child into the air using their legs to hold them up and their arms to stabilize them. It always results in squeals of laughter. 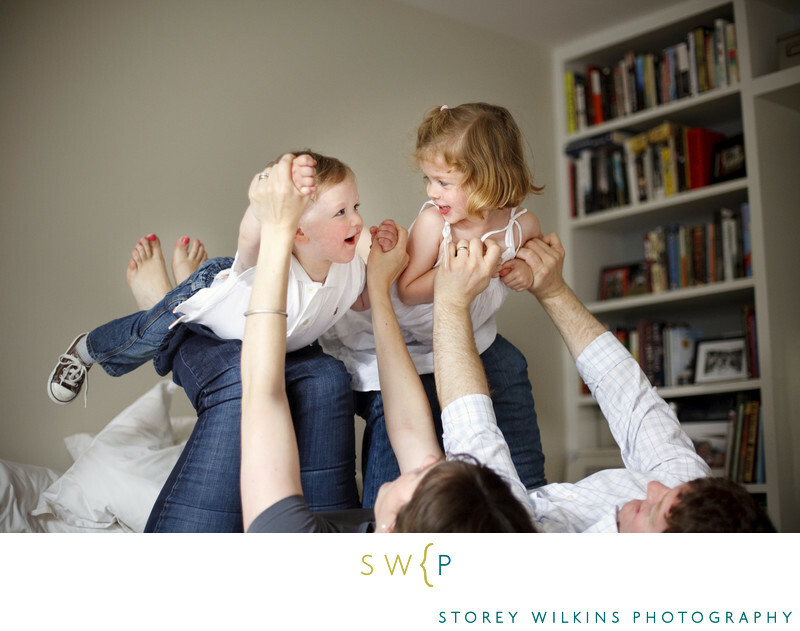 Toronto Family Portraits by Storey Wilkins Photography for natural thoughtful emotional photographs in Lawrence Park Leaside Forest Hill and Rosedale.